Stem cell research has had many ups and downs, but a stream of setbacks had left researchers almost back at square one. Now, researchers at the New York Stem Cell Foundation Laboratory have developed a method that may help recover the lost ground. 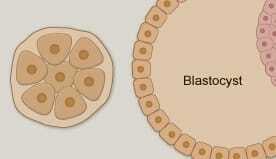 Embryonic stem cells can generate all the tissues of the body. So if such cells could be developed from a patient’s adult cells, it might be possible to make replacement cells for any diseased tissue without fear of rejection.